Michael has been traveling all around the United States promoting his new book Ruhlman’s Twenty. Yesterday he had a long day in New York City where he appeared on the Martha Stewart Show. Michael sends his apologies, as he is nursing a wicked hangover. He returns to Cleveland today and will be appearing at the Fabulous Food Show this weekend. 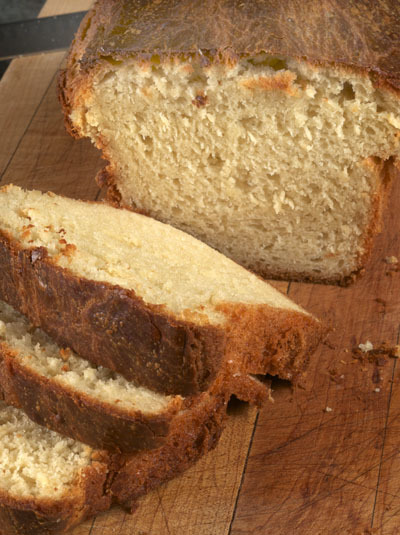 Please enjoy this favorite post of mine on how to Make Brioche. This post reminds you to begin preparing for the holiday season, which is quickly approaching. Try making bagels with Bruce Ezzell’s bagel recipe. Any upcoming stops in Boston? Am I the first to think Ruhlman + NYC = Bourdain? was lucky enough to catch tony while in city. he was doing letterman, I was doing martha. he’s actually not looking old and haggard from his killer schedule. and he did say cleveland was an awesome show when he was here. I just assumed Ruhlman + Martha = wicked hangover. How long does it take for this bread to rise in volume? It’s been an hour and so far it doesn’t appear to have moved. I’ve made this once successfully and have not had any issues with bread. How sticky should this bread be? It looked perfect until I added the butter and then it got very soft. I’d try again, but I just don’t have time! I’m hoping to revive this dough.